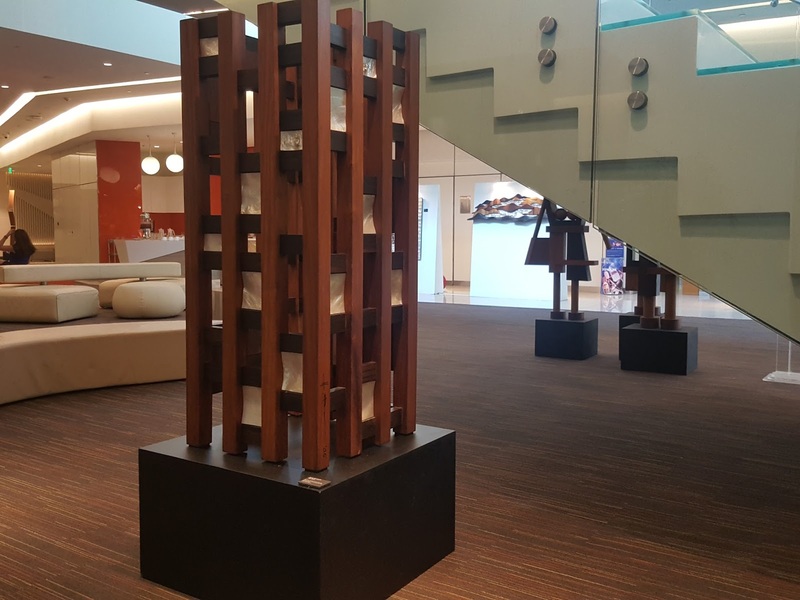 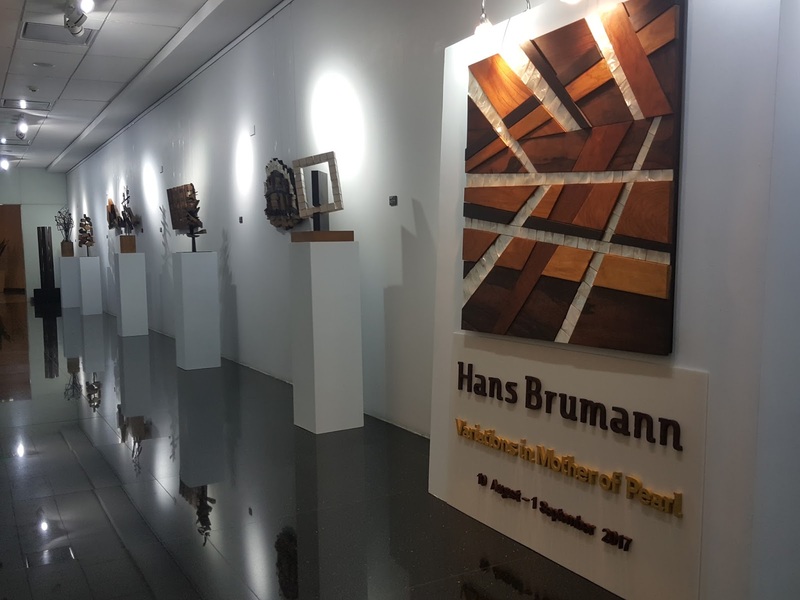 As part of Globe Telecoms advocacy for creativity and innovation, Globe Art Gallery features the works of Hans Brumann, an exhibit that explores the use of unconventional materials, like kamagong and molave, coral, nacre or mother-of-pearl. This is in partnership with one of the oldest and most prestigious art galleries in Manila, the Hiraya Gallery. Hans Brumann, a Swiss resident in Manila for the past 50 years, is the Philippines’ leading jewelry designer and has become known for his rich imagery in crafting fine jewelry pieces. 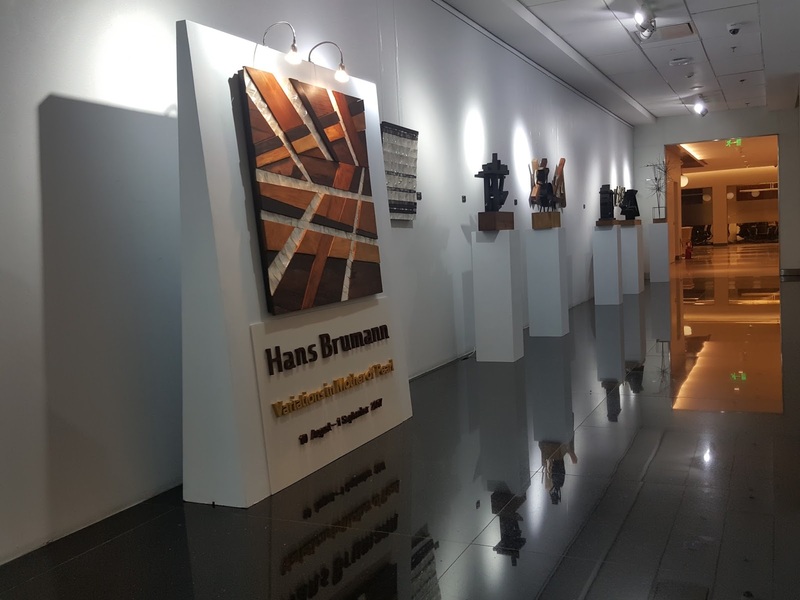 Armed with a solid background in jewelry design, Hans combines his creativity and technical ability to make sculptures out of fusions of a mother of pearl with diverse elements. 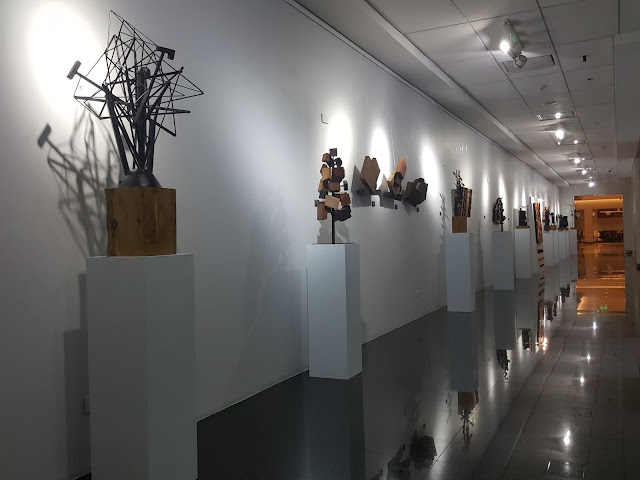 The qualities of his works are exquisite, restrained, minimalist, pared-down and reservedly elegant, with nothing superfluous. 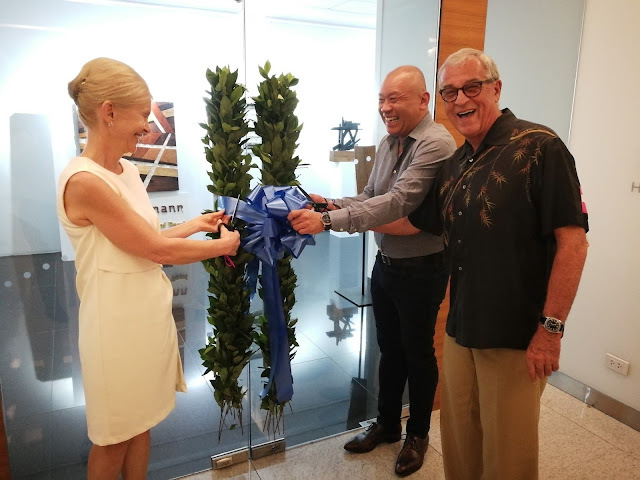 Swiss Ambassador to the Philippines Andrea Reichlin (left), Globe President & CEO Ernest Cu (center) and Hans Brumann (right) lead the ribbon-cutting ceremony at the opening of Brumann’s Variations in Mother of Pearl exhibit at the Globe Art Gallery in Bonifacio Global City. 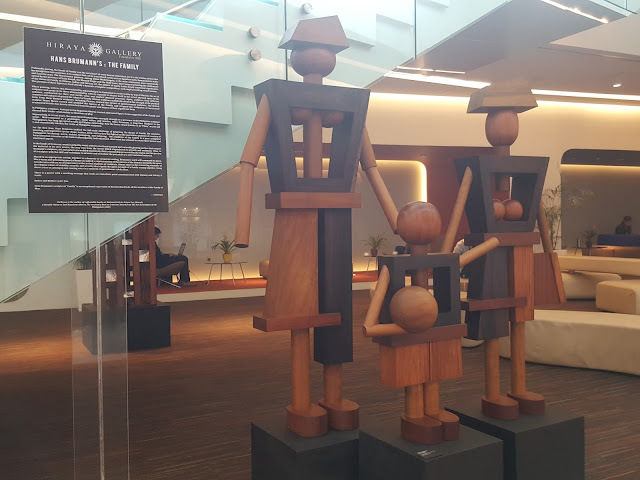 The exhibit will run until September 1. The Globe Art Gallery is located in the basement of the telecommunication provider’s headquarters in Bonifacio Global City.